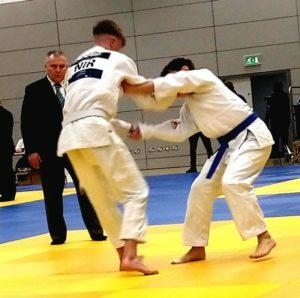 Last weekend in the Foyle Arena, the Northern Ireland Judo Open took place, welcoming over 550 entries from across Ireland, Great Britain and beyond to compete on the mat. 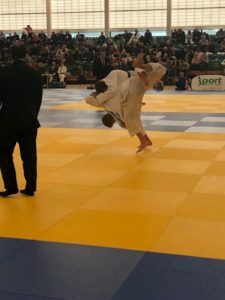 The event which this year was sponsored by the City of Derry Airport is the Northern Ireland Judo Federation’s flagship event and with entry for the Sunday closing 2 weeks before the deadline due to demand, the stage was set for elite judo and a great competition. Held over 2 days and with categories ranging from minors to masters (veterans) there were top class contests non-stop across 4 mats. 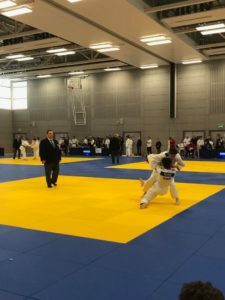 A lot of home-grown Judoka had success at the event as they tested themselves against the other competitors from other nations. Gold Medallists include, Matthew Elliot, James Reid and James McCullough from Simply Judo. Also, on the premier podium positions were Ashley Doherty from Abbey Judo and Callum Nash from Yamakwai. As well as competitive success our NIJF Secretary Averil Taggart was also presented with her competition controller award. The feedback from the event has been fantastic already and many of the visitors mentioned that this was not only one of the best Northern Ireland Opens they have attended, but actually one of the best competitions they have been to. The NIJF would like to thank everyone for their involvement from our sponsors to the competitors, our volunteers, coaches, players and officials and we’re looking forward to 2020 and making the Open even bigger next year! 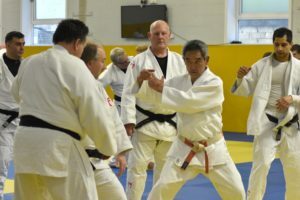 Full results of the event will be available shortly at the Judo Technologies website. PreviousPrevious post:Former Olympian comes to Northern Ireland to coach new females!